“Ebola virus can lurk in the eye for months.”. [Online]. Available : video medicalxpress 2015. “Researcher helps discover Ebola virus in eye fluid of recovered survivor.”. [Online]. Available : content medicalxpress 2015. 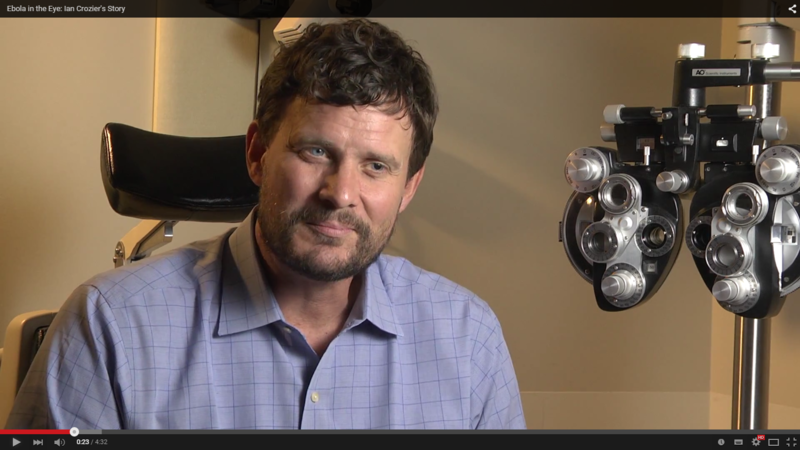 “Ebola in the Eye: Ian Crozier’s Story.”. [Online]. Available : youtube emory university channel 2015. “How Ebola Changed a Doctor’s Eye from Blue to Green.”. [Online]. Available : inside edition channel 2015. “Ebola virus desease“. [Online]. Available : wiki 2015.